Look, it’s Saturday --- gotta clean the gutters and paint a bedroom -- but when that’s done, we’ll be drinking this BLOCKBUSTER, because we deserve it. We have 60 bottles to sell you!! True DAT! This is outrageously rich and head-spinning stuff --- at $479.70 DELIVERED we’d buy at least 6 (what am I saying, we did!) -- an instant classic. Super-consultant Claude Gros of Chateau La Negly in the Languedoc keeps up his astounding record of intense, thrilling wines. Wow! We’re not going to say anything else --- just hurry! Tasted out of bottle, the 2015 La Clape Ancely is borderline perfection. Made from mostly Mourvedre brought up in new barrels, its inky color is followed by a massive, opulent, yet still elegant red that has exotic notes of smoked meats, steak tartare, Asian spices, and assorted darker fruits. This full-bodied 2015 has building tannin and a blockbuster style yet remains perfectly balanced and light on its feet. If you want to see how good Mourvedre can be from the Languedoc, beg, borrow, or steal to get a bottle of this. 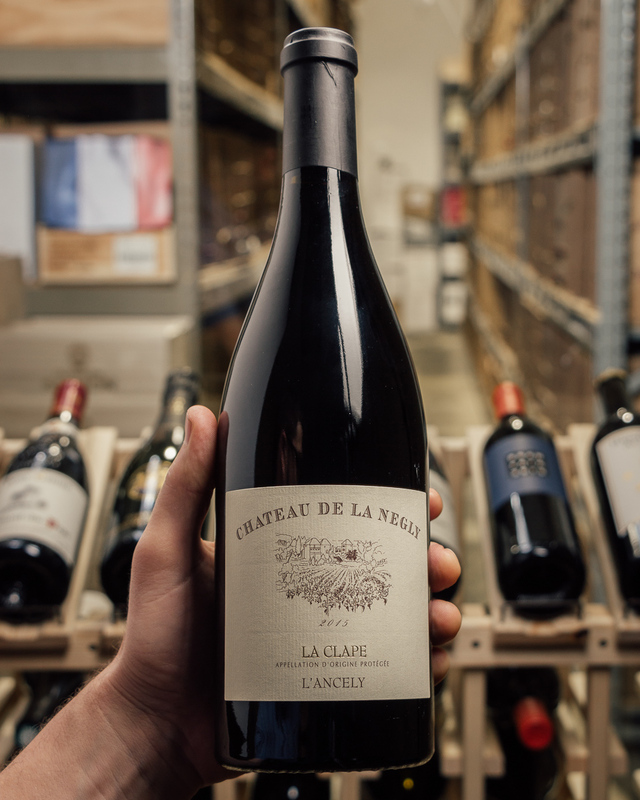 The 2015 La Clape L'Ancely, which is mostly Mourvèdre, is a blockbuster effort offering sensational notes of black raspberries, cured meats, spice and licorice aromas and flavors. This full-bodied, expansive, decadent and hugely concentrated 2015 might be the best vintage of this cuvee to date.